Atomic Garden is a boutique located in Oakland, California where we've sold Brooklyn Beach Hair for sometime now. Inspired by beauty in everyday life, Atomic Garden is a repository of all things handcrafted, thoughtful and made with purpose. I can't wait to see the store in person someday! 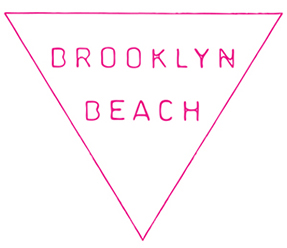 Thanks to Wear Your Voice for including Brooklyn Beach in their beauty story about Atomic Garden. Tons of great products there! by surfing and the sea, also in New York City. * N E W * MTK Magazine! Check it out online if you can't find it in print! Thanks for including us in your fav product list Winnie!! Summer Beauty Essential > Brooklyn Beach Hair! your shop pretty much rules the world as far as I'm concerned. I never want to leave when I stop in…..
Jessa Blades and her site Blades Natural Beauty are now carrying our Brooklyn Beach Hair spray! in Ojai, and our cool beach spray! Sweet little write-up of some fantastic local NYC beauty brands by Jesse Breeden. Thanks to her and W Magazine for being included! Awesome blog, Aquarius Cocktail, out of So Cal, loves Brooklyn Beach Hair! But I was lucky enough to be featured in this awesome beach blanket spread in the August issue! And a nice gentleman from Manhattan quickly swooped up the blanket they shot.